The Law Offices of Timothy J. Sierra are primarily engaged in the areas of consumer bankruptcy under chapter 7 and 13 of the bankruptcy code. Mr. Sierra is a sole practitioner located in the Old Hyde Park Section of Tampa, Florida, at 118 S. Rome Avenue and with satellite offices in Brandon and Riverview Florida. The Brandon office is located at 305 N. Parsons Avenue and the Riverview office is located at 6314 U.S. Hwy. 301 South, Riverview, Florida 33578 in the Riverview Office Suites. 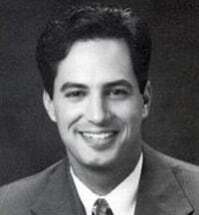 Mr. Sierra started the practice of law in 1987 after graduating from Indiana University School of Law. Prior to his admission to the Florida Bar he clerked for the law firm of Abrahamson, Reed & Adley, a firm primarily limited to business and taxation. He also clerked for a sole practitioner who practiced in the area of personal injury. After passing the Florida Bar Exam, he joined the Public Defender's Office in Hillsborough County and represented juveniles accused of felony and misdemeanor offenses and those persons charged with DUI and traffic related offenses. After two years with the Public Defender, he joined the criminal defense firm of Furnell & O'Haire and after six months became a partner in Furnell, O'Haire and Sierra. At Furnell, O'Haire and Sierra, he represented adult and juvenile clients in felony, misdemeanor, traffic, DUI, probation and parole violation cases and criminal appellate cases. In November of 1990, Mr. Sierra opened his own law practice and expanded his practice to include representation of clients in civil areas of law. In addition to criminal defense, he began practicing personal injury law, divorce, and bankruptcy. In the area of personal injury, Mr. Sierra represented clients injured in automobile accidents, slip and fall cases, or in any act that results in injury from the negligence of others. In the area of family law, Mr. Sierra represented parties who are seeking a divorce, who are fighting over custody, child support, visitation, modification of divorce decrees, contempt for failure to pay child support, grandparent rights and adoptions. Currently, Mr. Sierra concentrates over 95% of his practice to consumer bankruptcy cases, representing clients who seek a liquidation of debt under a chapter 7 or a reorganization of debt under a chapter 13. Fees and fee arrangements are discussed at the first meeting and a retainer agreement is prepared in all cases in which Mr. Sierra is engaged. Fees are based on the time and responsibility involved. Mr. Sierra is a member of the Hillsborough County Bar Association, the Florida Bar Business Law Section, the Tampa Bay Bankruptcy Bar Association, and the National Association of Consumer Bankruptcy Attorneys. He is assisted by a legal secretary and they work together to insure the prompt economical delivery of legal services to his clients. His office hours are normally 8:30 to 5:00 but will fluctuate to serve your needs. All initial bankruptcy consultations are free of charge. He will keep you informed of the progress of your case on a regular basis by use of the telephone, letters, email, voice mail, and copies of all legal documents created and received on your behalf. When questions arise, you are encouraged to call the office for information. Mr. Sierra and his staff are always available to answer all of your questions and generally respond to your inquires within 24 hours or less. His office philosophy and business practice is to provide quality and prompt legal services with excellent service.